I learned a few more details today regarding the September 12th rally being put together by the new Farm Bill Now coalition, which the Grange joined last week. For starters, it is going to be more of a protest rally... but I believe it's going to be a peaceful, professional one and we even think there will be 2-3 elected officials coming to speak on our behalf. It's set to start around 11am that morning and last about two hours. We're supposed to meet in front of the capitol building near the 3rd street reflecting pool. So far, we've got about 400 people dedicated, but I think that number will grow in the next two weeks. 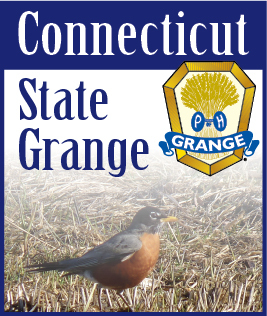 It would be wonderful if we could have an abundance of Grange members there to fight for this issue. If you can attend, please let me know. We'd be delighted to see you there. It's also worth noting that the range of organizations joining this coalition is in itself a miracle. We all have different, in some cases even competing, priorities and we've managed to put them aside for the sake of bringing up the Farm Bill. AGAIN: we are just advocating that they bring up the Farm Bill for a vote. We're not advocating what should be in it. I guess we all figure that bringing it up for a vote is the important first step and we can nitpick after that. What an amazing display of bi-partisanship huh? I really think this is going to be wonderful and that we're going to set a wonderful example for how Congress should be behaving. I'll keep everyone posted as things progress. See you September 12th!